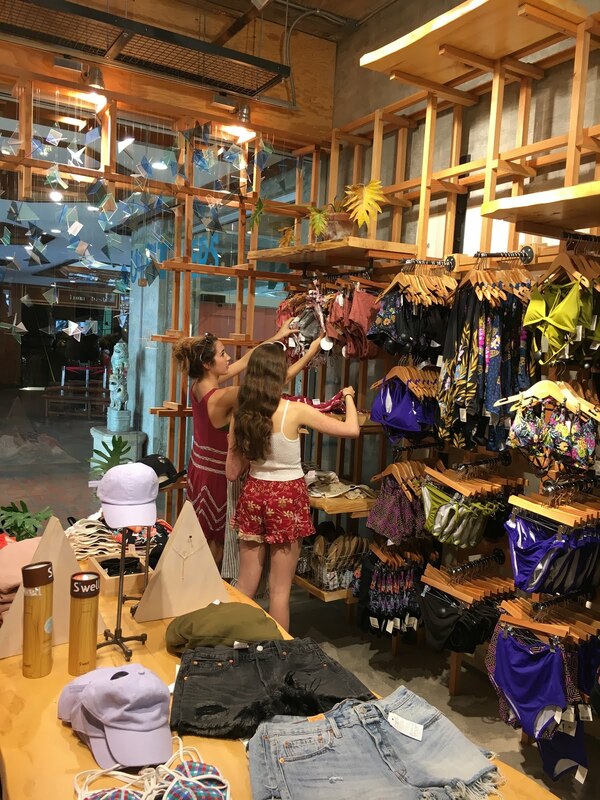 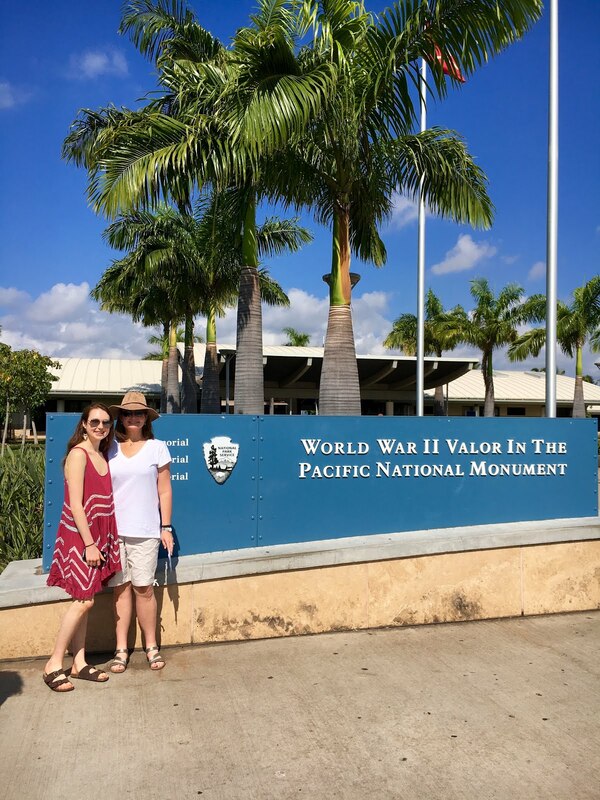 The girls wanted to hit a nice beach for spring break, so we opted to visit Hawaii a couple weeks ago for some fun in the sun and surf. 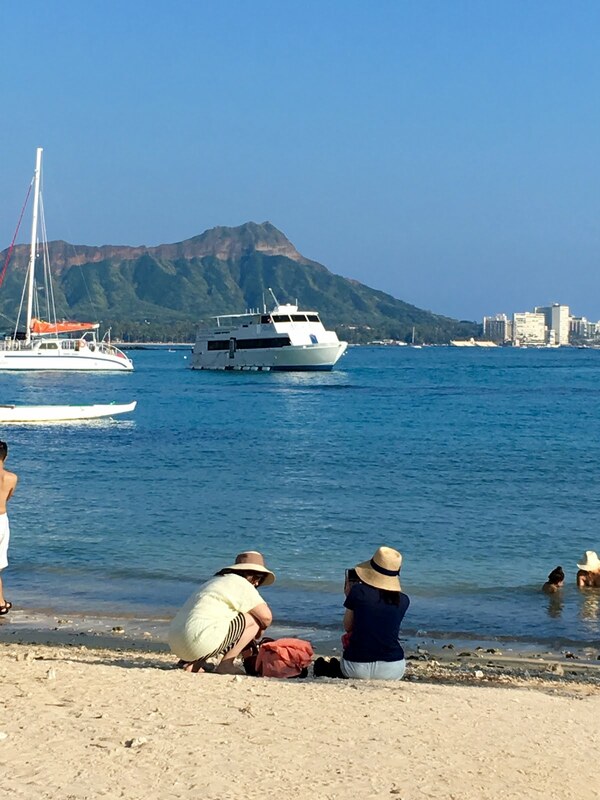 Which translates to them getting a burn and me slathering on the industrial strength 500 spf every day to keep the sunspots at bay. We flew out of Houston Saturday morning, so we made the drive there on Friday after school. 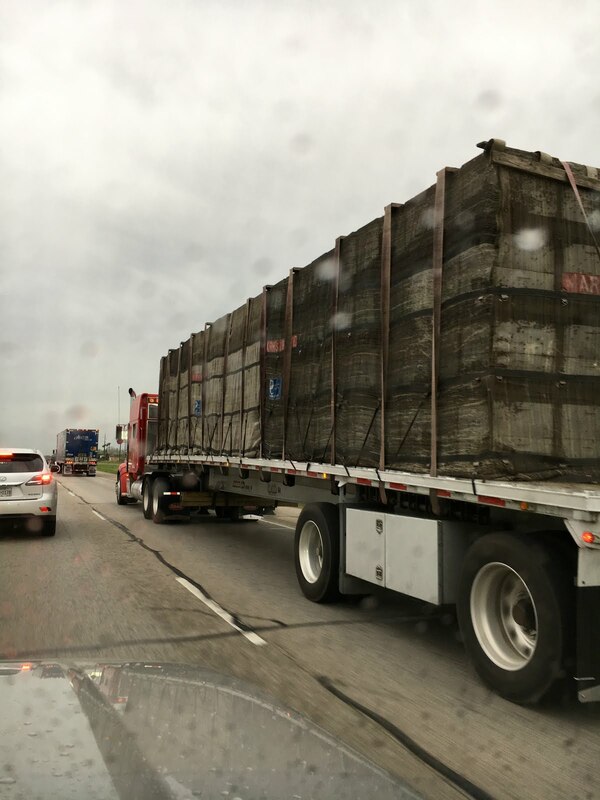 The traffic was nuts, but slowing down gave us the chance to realize this big rig was transporting BEES! 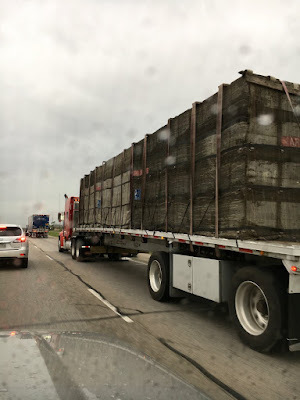 I don't even want to think about how it would go down if that guy got into a wreck. 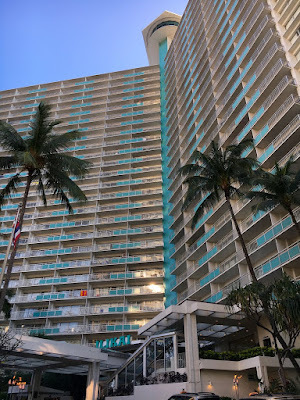 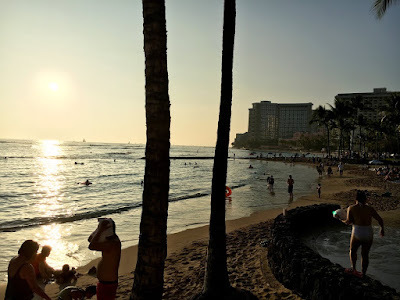 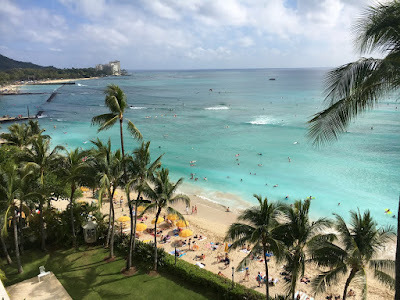 Our historic accommodations on Waikiki Beach in Oahu for the first two nights was in a prime spot to enjoy the tourist trade. 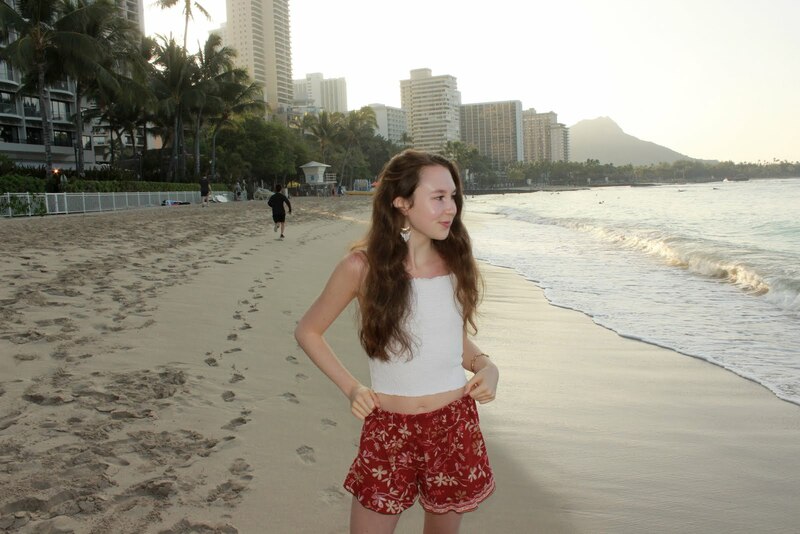 Lots of cute shops, restaurants and a lovely stretch of beach. 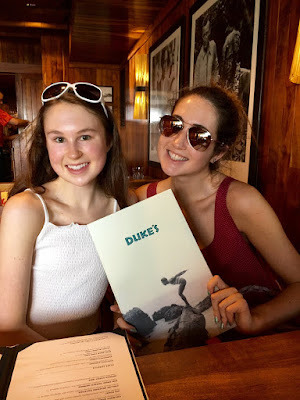 We dined at Duke's on the beach, which had a very filling salad bar. And by salad, I mean a whole lotta mayo based dishes and so it wasn't particularly light. 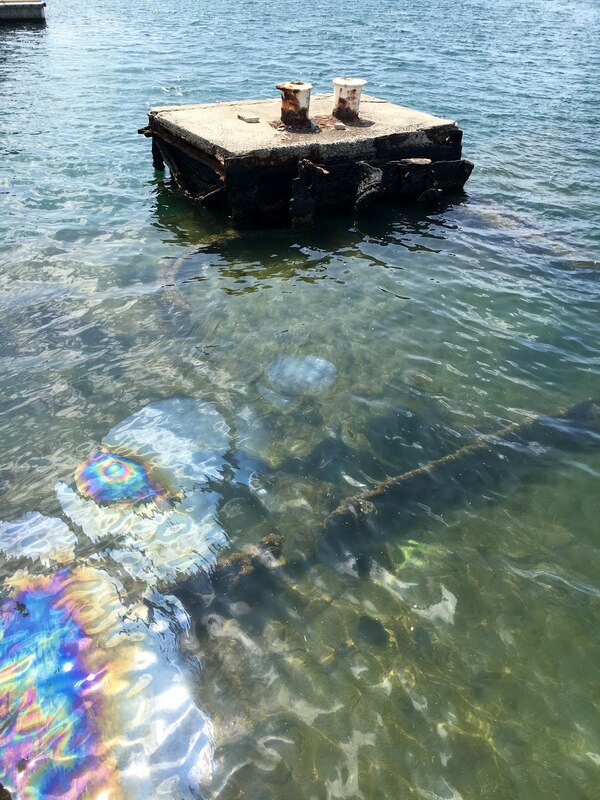 But it was still good. 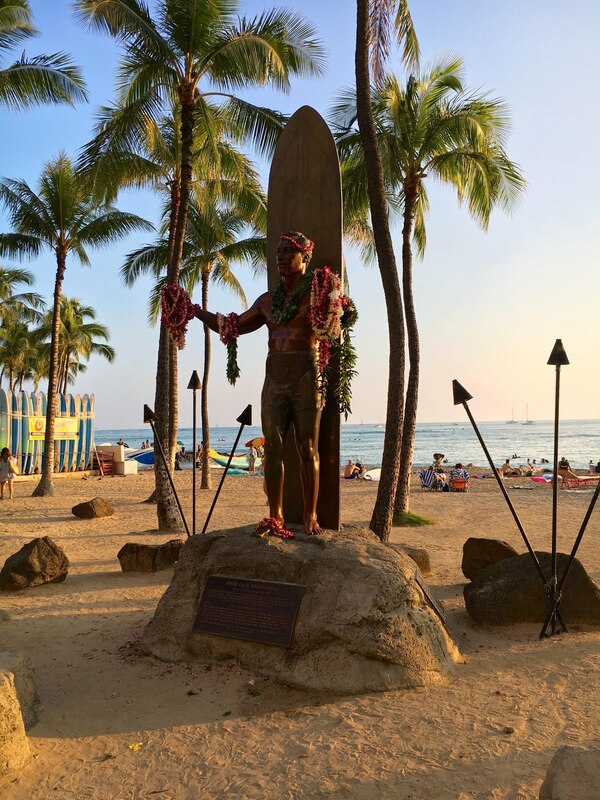 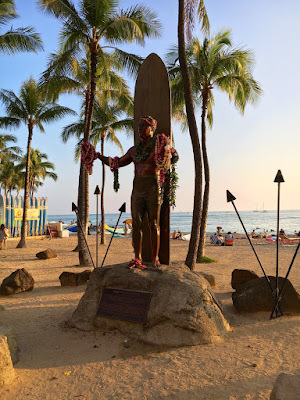 Below is a statue along the beach of Duke and his surfboard, but he's best known for being an Olympic gold medalist in swimming. 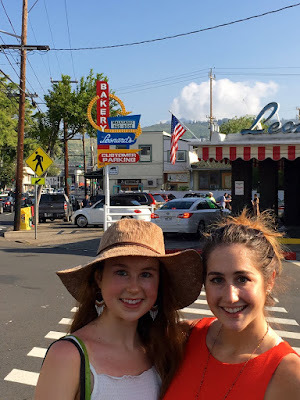 One morning we trekked a couple miles to Leonard's for some malasadas. 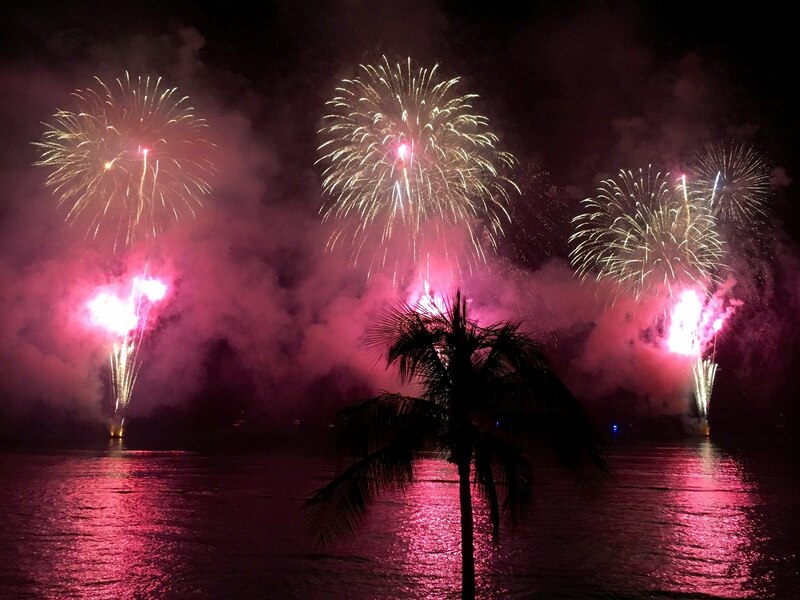 It was brought to the islands by the Portuguese, which sounds fancy and exotic. 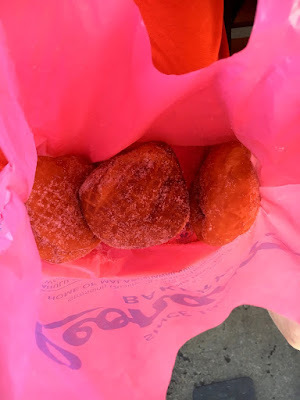 But it's really just a big lump of fried dough, often with a filling like coconut or chocolate, and then rolled in sugar. 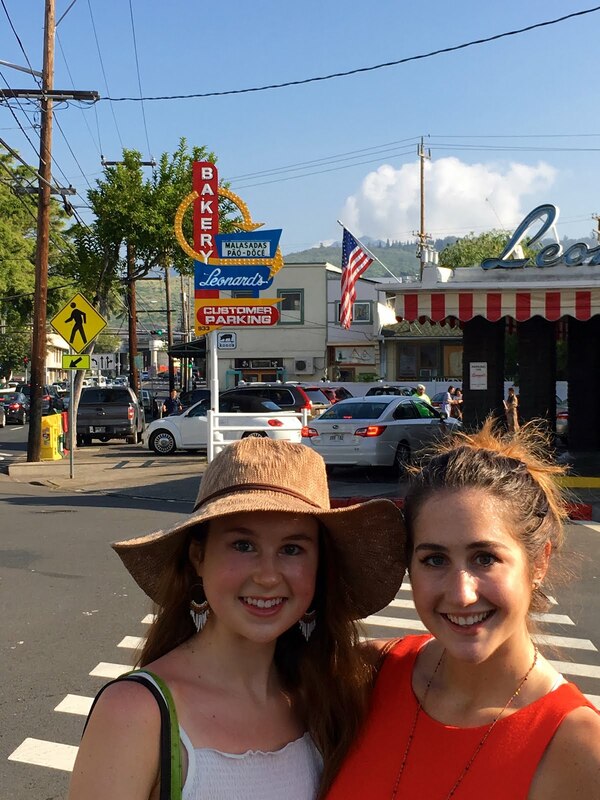 Fattening, for sure. 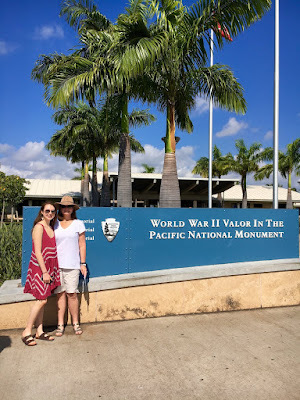 One of my favorite things to do in new places is book a tours by locals. 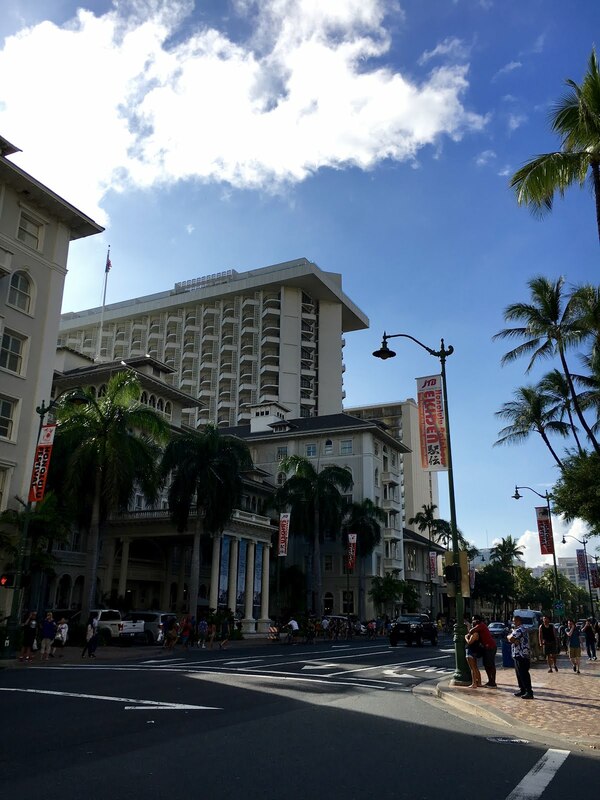 You just can't go wrong when you get a local guy or gal to give you some history about the place you're visiting. Our guide in Honolulu was great. 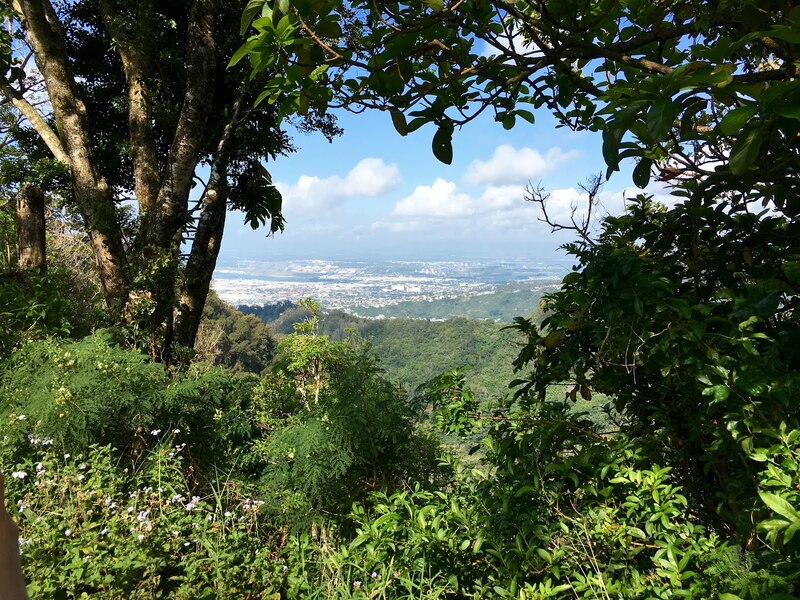 He drove us up into the hills on a nausea inducing road full of switchbacks, but the view from the top was well worth it. 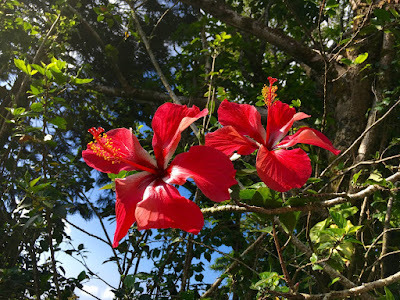 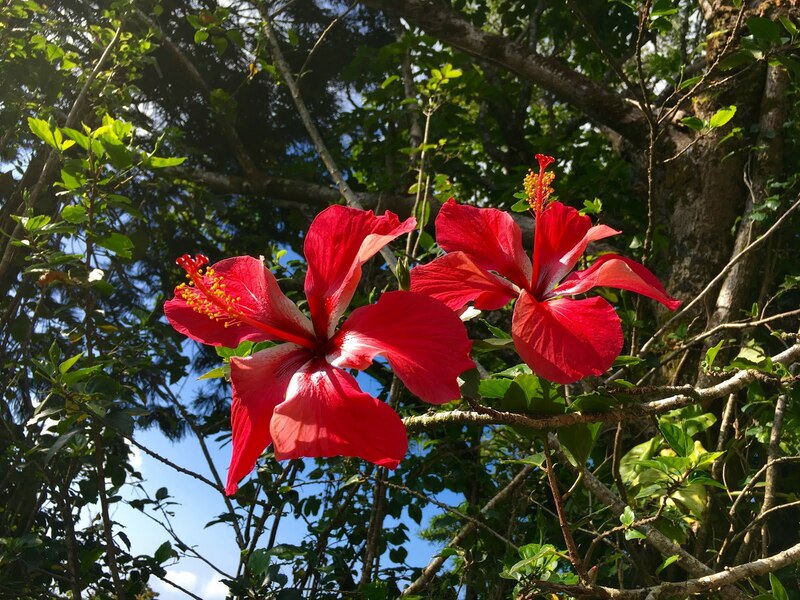 The hibiscus growing along the wide of the road were beautiful. 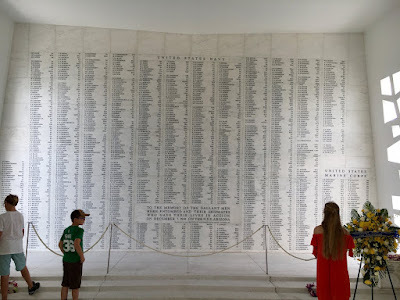 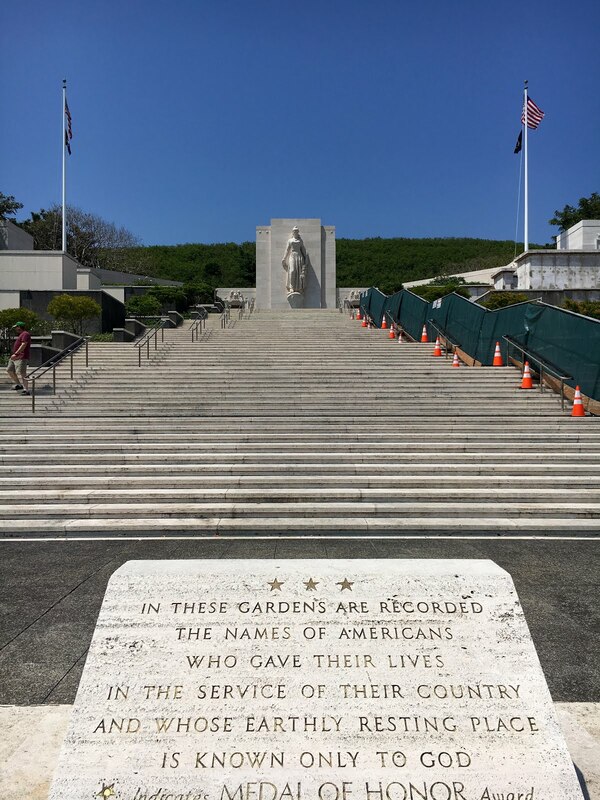 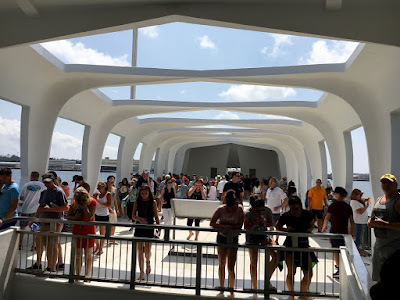 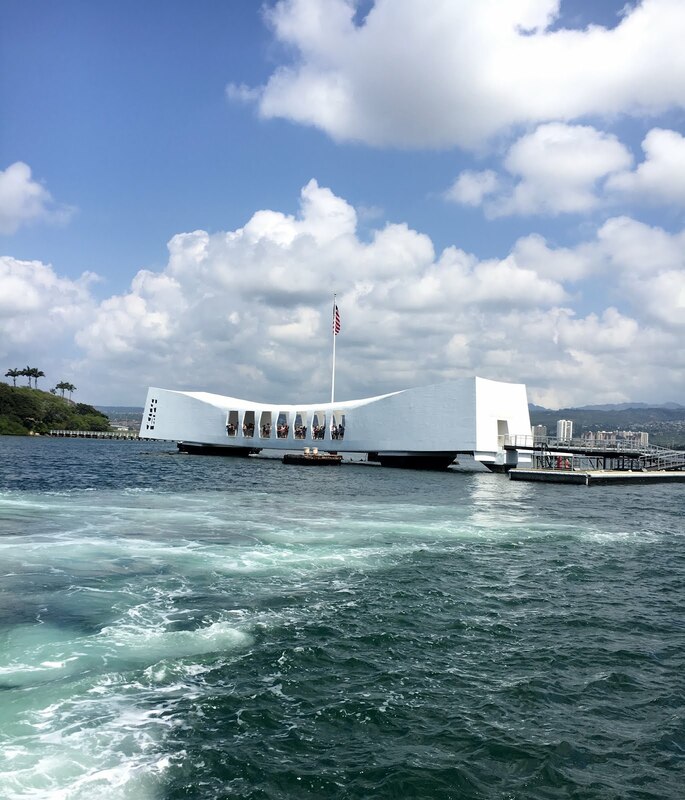 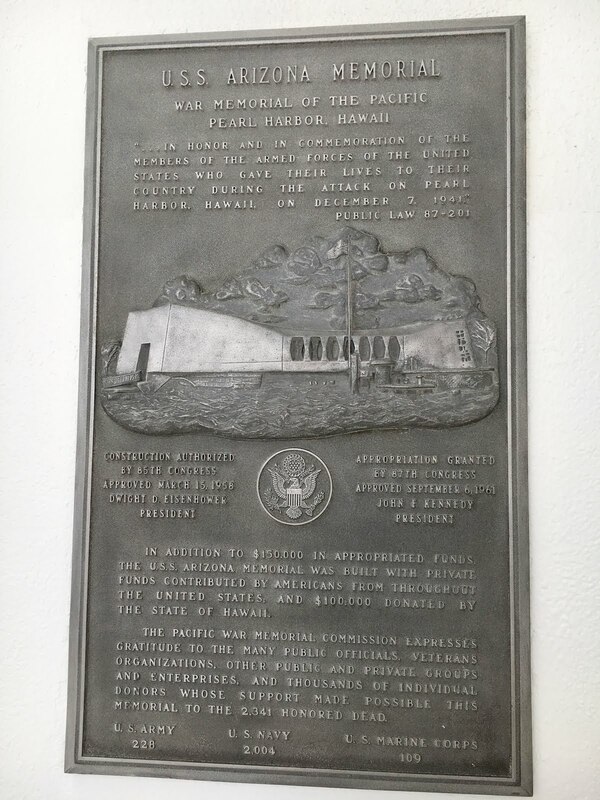 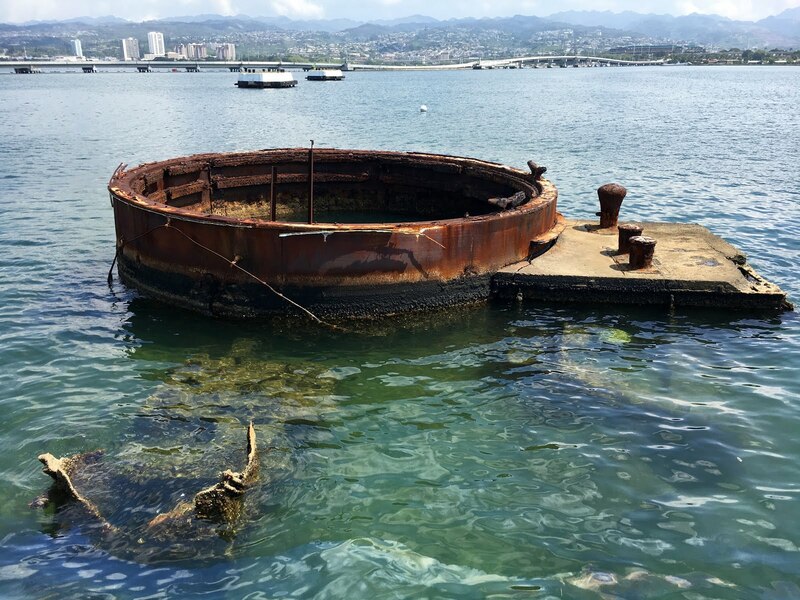 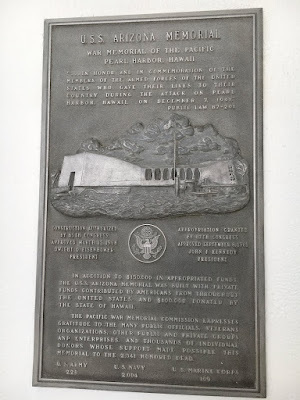 We had the opportunity to visit the Arizona Memorial at Pearl Harbor and it was a touching tribute to those servicemen who lost their lives in the Japanese raid. We had an interesting lunch at Pier 38, where I dined on Loco Moco at Nico's. 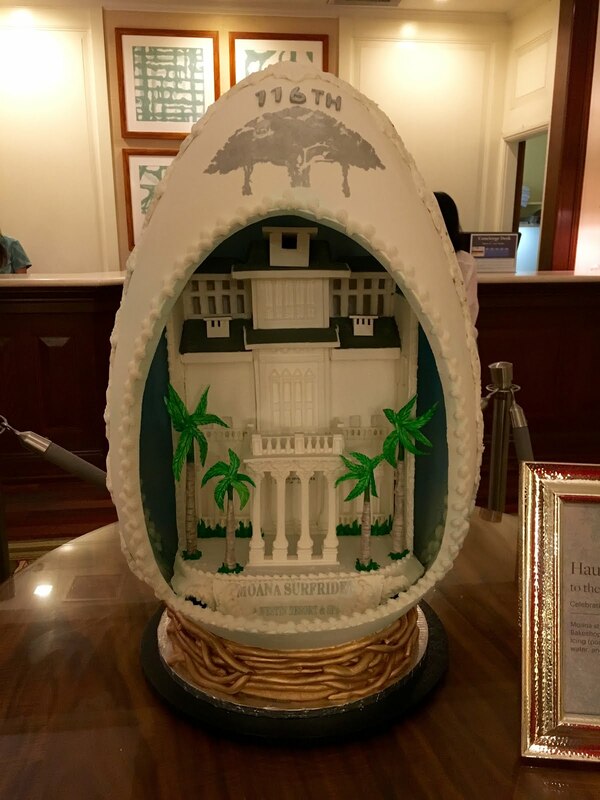 This consists of grilled beef patties on a bed of rice, covered with brown gravy and onions, then topped with two eggs cooked however you want. 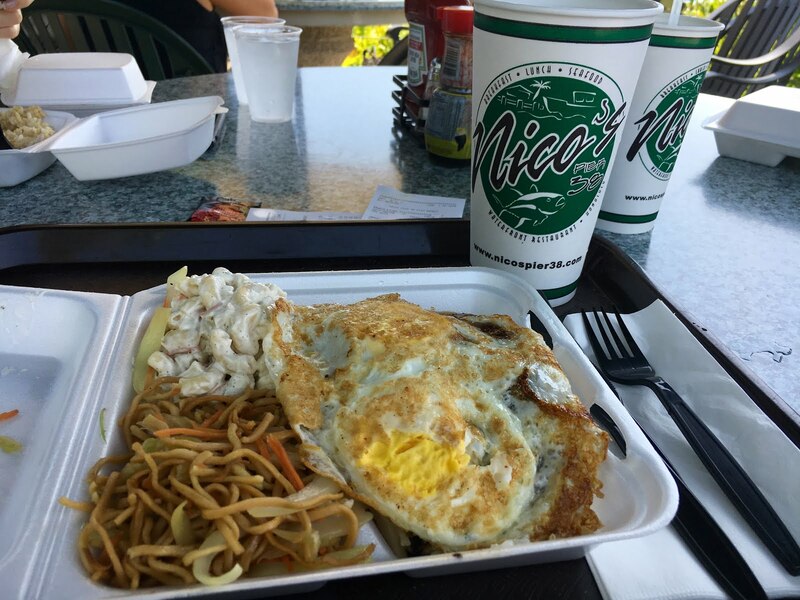 The sides were an Asian style noodle salad as well as macaroni potato salad. It was carbalicious! In the afternoon we visited the local military cemetery that's located in the Punchbowl, an old volcanic crater. 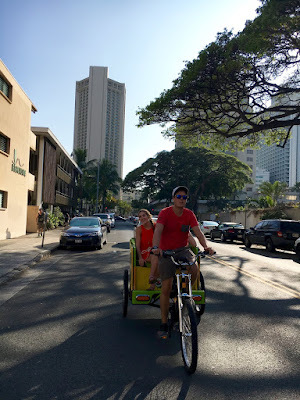 In the late afternoon, we had a cyclo ride around the area adjacent to our hotel and ended up with a good view to Diamond Head. Book 'em, Dano! Fans of the original Hawaii Five-O series will recognize the facade below from the opening credits. 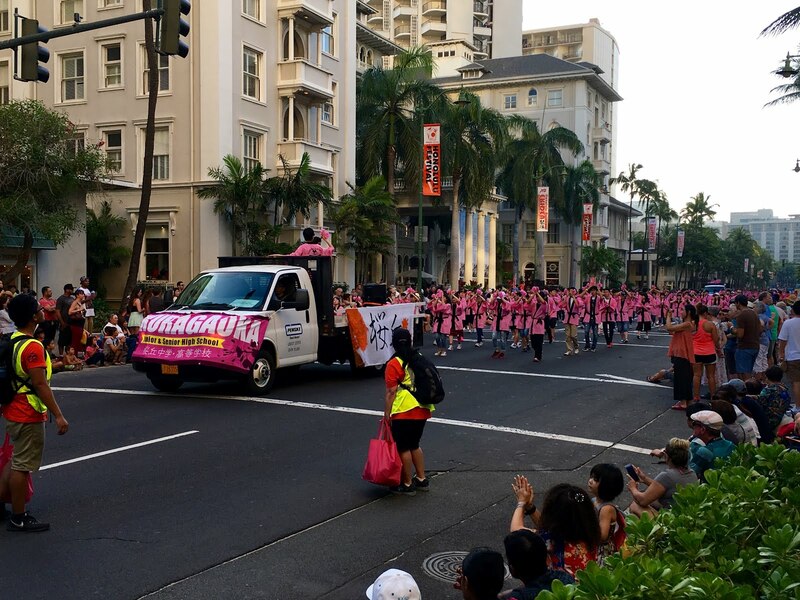 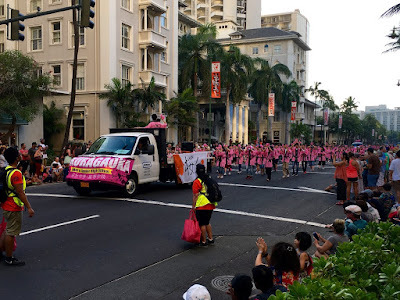 By the time we returned to our hotel, the Honolulu Festival's parade had kicked off. 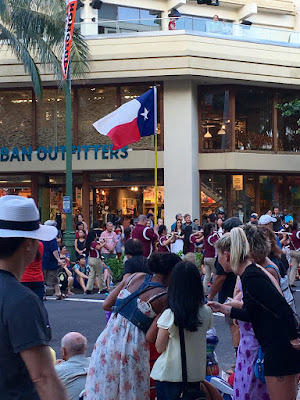 No matter where you go, you're gonna stumble across fellow Texans. And sure enough, the band from Littlefield was marching in the parade. God bless Texas. 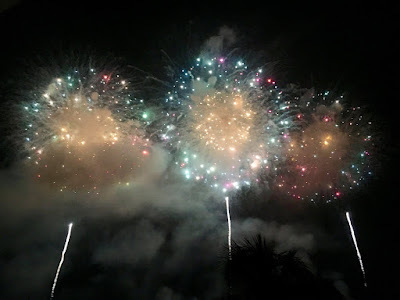 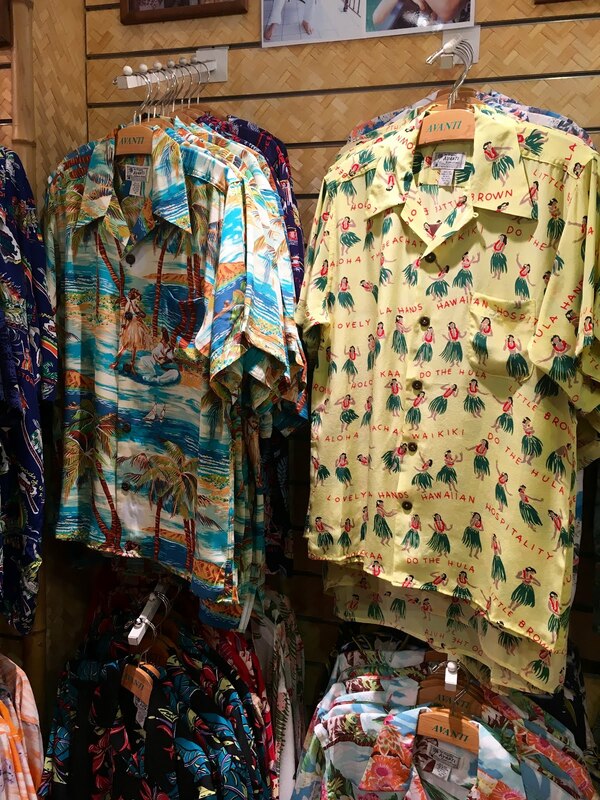 After a visit to the local Avanti Hawaiian shirt shop - Elvis made famous with his wardrobe in "Blue Hawaii" - where I got a nice silk for the husband and one to use as a swimsuit cover up for myself, we enjoyed a great fireworks display from our balcony.